It seems that I am the only person on the planet who doesn’t quite like “Uncharted” gameplay and for single very specific reason – the shooting. Because when you get down to it, it’s one of the four pillars of overall experience of these games: the climbing (which is smooth and responsive), the characters (which are likeable and well-written), the puzzles (which are challenging enough and provide the necessary respite from the rest of the activities) and finally the combat, the shooting part of which I don’t find very satisfying. And it is surprising considering that in “The Last of Us” firing from the gun and hitting someone was ridiculously great. And I know that the story of Joel and Ellie came out two years after “Uncharted 3: Drakes Deception”. I am just amazed that amidst all the praise and criticism aimed at “Uncharted 3” Naughty Dog got at the time, not one reviewer noticed such glaring issue, but still two years later they released a game in which firing a gun at your enemies sounds and feels absolutely awesome. And by the looks of it, the same can be said about “A thief’s End”. Enemies in the third installment of the “Uncharted” barely bleed or exhibit any physical responses when you fill them up with lead. They absorb the bullets rather than actually get hit by them. And the guns themselves just don’t sound impactful or heavy enough to constitute as a viable threat. 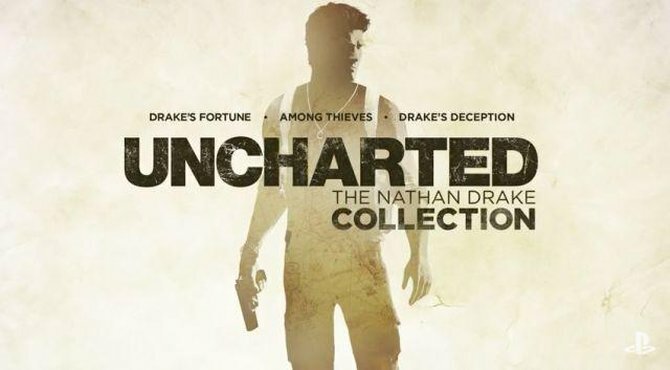 And I’m writing this article not to troll the fans of the series or to annoy people who are right now considering buying the “Uncharted: The Nathan Drake Collection”(such as myself), but because we have an actual opportunity on our hands to have a complete video game saga, all within one console generation! And I want this to become reality. This is literally my only concern at this point regarding the “Drake Collection”, because the developers already know about the visual aspect of the re-release, but because no one mentioned the actual shooting part of the gameplay (which at this point can still be improved) will be left untouched. If you completely disagree with me and refuse to look at things from my perspective than take this article for the ignorant mumbling that you think it is. But, if there is even the slightest possibility that you might concur with something that I’ve said, than let your voice be heard when the demo for “Uncharted: The Nathan Drake Collection” will be released. Because I think we all would love to have a whole series of great story-driven experiences with an excellent shooting gameplay. To have one of few HD-remasters, that actually justifies their price and existence.